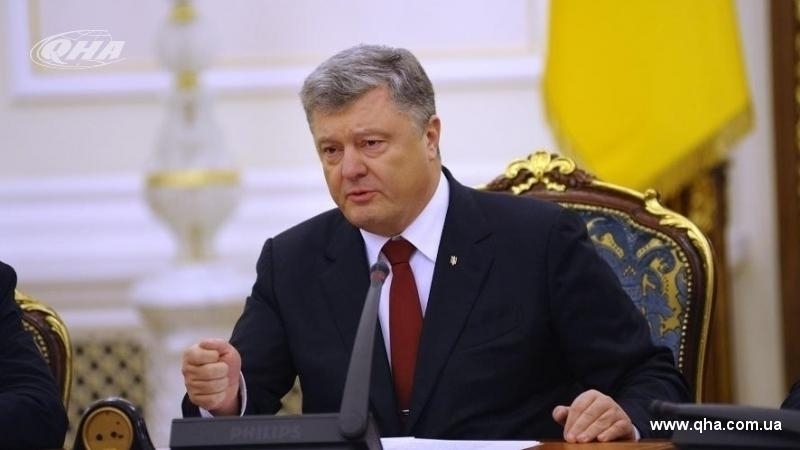 The President’s appeal to the delegates of Qurultay notes that amendments to the Section X of the Constitution of Ukraine regarding Crimea are necessary for Ukraine. At the conference of Qurultay delegates, which takes place in Kyiv today, on November 12, the Head of the Mejlis of the Crimean Tatar people Refat Chubarov, read out the appeal of the President of Ukraine Petro Poroshenko. The appeal says that the occupation authorities of the Crimea deliberately create such a situation, in which being a Crimean Tatar and relate to the representative bodies of the Crimean Tatar people is regarded as criminal offense. The President’s statement says that the meeting of the Third Committee of the UN General Assembly will consider a new draft resolution on Crimea, which deals with new facts of human rights violations on the annexed peninsula. Poroshenko stressed that the working group developed proposals for amendments to Section X of the Constitution of Ukraine, which is to enshrine the right of the Crimean Tatar people to self-determination within the Ukrainian state, defining the special status of the Crimean Tatar national-territorial autonomy as an integral part of a united Ukraine. Today, November 12, a conference of delegates of the Qurultay of the Crimean Tatar people began in Kyiv. The conference is attended by the Ambassador of the Republic of Turkey in Ukraine Yonet Can Tezel, US Deputy Chief of Mission Pamela Tremont, representatives of the European Union, the United Nations, the OSCE Mission in Ukraine, First Deputy Secretary of the National Security and Defense Council of Ukraine Mykhailo Koval, First Deputy Minister for the Temporarily Occupied Territories of Ukraine Yusuf Kurkchi, Deputy Minister of Information Policy of Ukraine Emine Dzheppar, People's Deputies of Ukraine Maria Ionova and Georgy Logvinsky. In 2018, the term of office of the delegates of Qurultay expires. In connection with this, a decision was made to hold a conference of delegates of Qurultay in mainland Ukraine. Qurultay of the Crimean Tatar people is the highest representative authority of the Crimean Tatar people, which makes decisions regarding the socio-political, economic, cultural and religious life of the people. The term of office of the Qurultay is 5 years. Crimean declaration: what is next?